This week’s sermon passage was Romans 2:25-3:4 where Paul is still emphasizing the darkness of our hearts and how utterly depraved we are. When our hearts grow cold in the faith, we dilute the doctrine of original sin which always leads to a distortion of the doctrine of salvation. We must go through the darkness and weightiness of viewing our sin to see the light. We can’t just be “good people”, count our church membership as a guarantee of heaven, and/or assume we are saved. Paul sets us straight in this passage– we must understand our need of a Savior! Verses 1-4 are arguments Paul knows his readers have regarding the value of actual circumcision since it is a matter of the heart as he had said in 2:29. “Does their faithlessness nullify the faithfulness of God?” His answer is, “Don’t question God.” The premise of these questions (“What advantage has the Jew? What if some of them were unfaithful?”) are right, but we must be very careful in how our logic flows so we don’t reach the wrong conclusions. “Let God be true though every one were a liar”. God does not change, and we must hold to the unchangeable truths of God. Don’t question Him, question your conclusions if they compromise His attributes. 🙂 There is no good in us, and the Lord’s faithfulness should never be questioned. Hope you have a fantastic week! What kinds of crazy places has the quest for a great picture taken you? How was your Lord’s Day? I love reading your comments! Wish I could reply to them all. 🙂 Blessings! 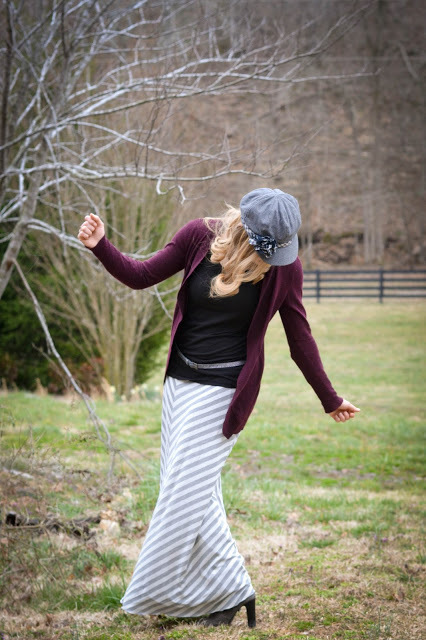 Linking up with Plane Pretty, Watch What I’m Wearing, The Modest Mom Blog. and Lily Among Thorns. I love your outfit! So cute. I recently purchased two chevron maxi skirts ($5 at Target, on clearance-hooray!! :D) but decided to wait until summer to wear them because of their weight… and now your post has inspired me to wear them in the winter! Blessings! 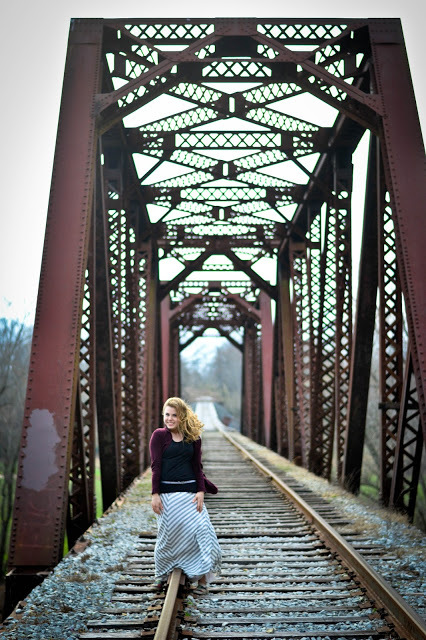 Your cardigan matches the trestle bridge well! Cute outfit! I had a lovely Lord's day. After church I spent the afternoon beginning my New Testament Studies class. Then I went back to church in the evening for bible study. Super cute, Olivia! I love how you paired the different colors together and I especially like the skirt. =) Blessings! Beautiful outfit!! I love your skirt and the location is amazing! Have a wonderful joy filled day! Great job on making that skirt. 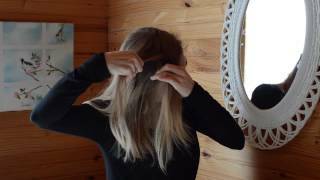 It looks fabulous on you. AND YAY for $1 thrifted cardigan, i'm a thrifting junkie so i love to see people's great finds. Hmm..let me see..a trash can in front of Arby's drive thru! I had limited time and hadn't posted in over a week! In my defense, you couldn't tell it was a trash can-it looked like a brick wall in the photos ;). Cute outfit and cool location! 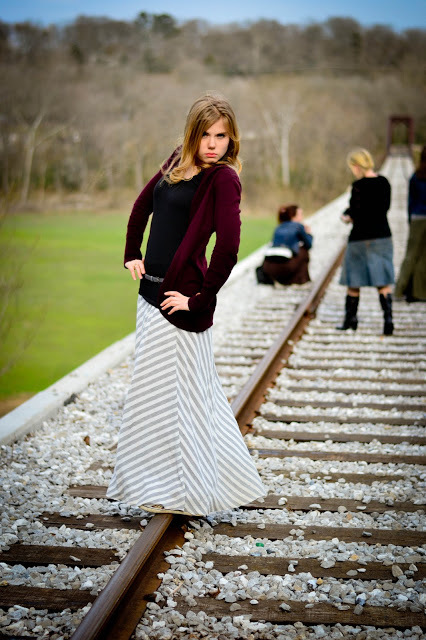 I love the pictures of you on the train tracks. I hope you enjoy your week. Jesus loves you!!!!!! I love the railroad Bridge! Also, your outfit. hi Olivia! Nice blog and I'm the newest follower. Modesty is always in fashion. Don't let anyone say it isn't. Come on over and see my fashionista attempts/actions/whatever they are. I just love to get my style at thrift shops, that's all. I really enjoy reading your blog. Your posts are always putting new style idea combinations in my head! I am also really glad that you share other young women's outfits. 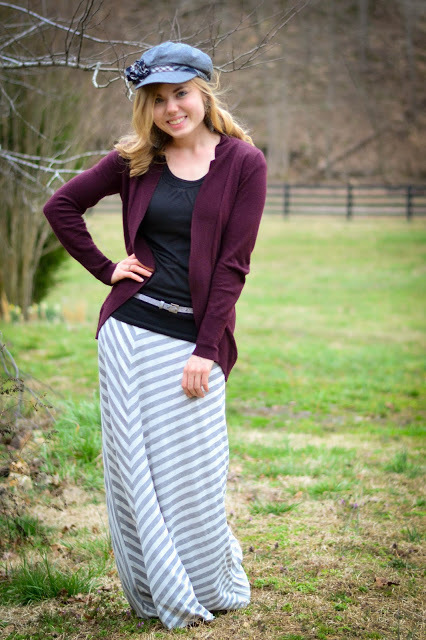 It's so encouraging knowing I'm not the only one trying to dress modestly for God's glory. This skirt is so cute! I love stripes. Just curious, but is the brunette young woman in the background your sister? I love the skirt! You are really talented Olivia! Great job! I love your outfit…so cute! The grey chevron with maroon is adorable! This is a really pretty outfit, and I really like your hat! I love listening to sermons taken from Romans, it is one of my favorite books from the Bible. There is so much to learn there! And that railroad location is very cool! Wow, love it! I love the scenery! An' your hat, too! It's pretty funky! I like how you put your shirt, sweater, and skirt to look casual and comfy, plus stylish too! Have a nice week! 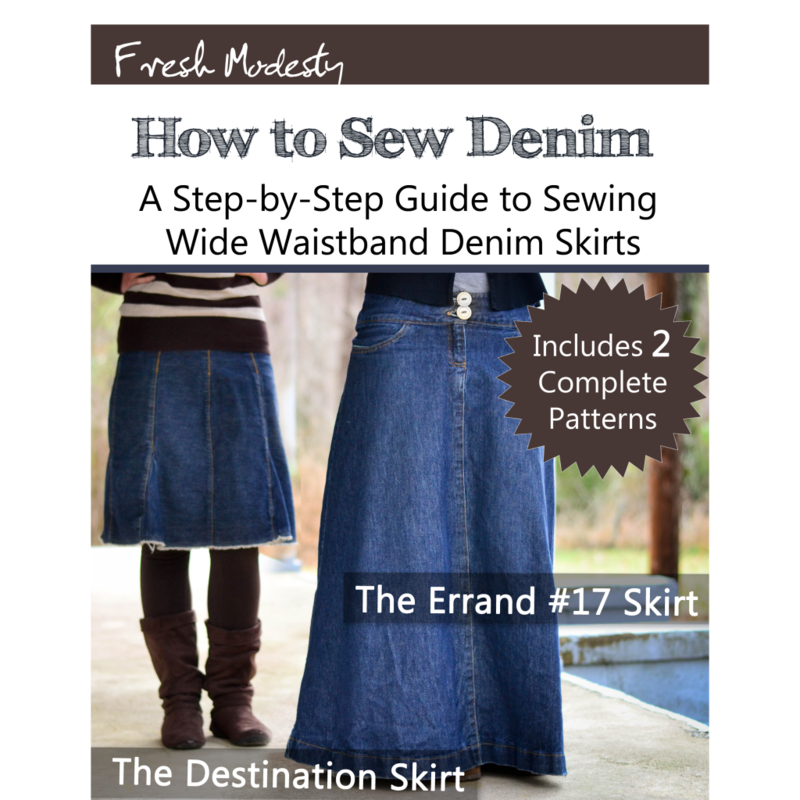 You made that skirt? Crazy! Love it! Found you via plane pretty! Lovely combo : oxblood + chevron = love ! And your pics are pretty awesome ! I definitly love this kind of bridge ! Can't wait to read your last A+A ! You are absolutely ADOOORABLE! I just found your blog through Little Birdie Blessings. I am a mama of two daughters and a son and my girls and I were just pouring over your blog. One of my girls will be 17 soon and has been asking me if I knew any good blogs for girls that she would like. Well, we found one 😀 ! Love the location. Lovely outfit, too! And the pictures are great.